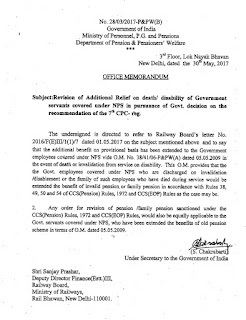 The undersigned is directed to refer to Railway Board’s letter No. 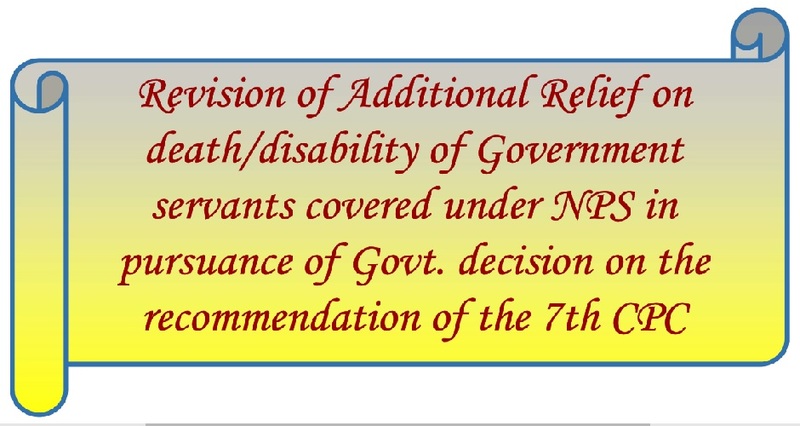 2016/F(E)III/1(1)/7 dated 01.05.2017 on the subject mentioned above and to say that the additional benefit on provisional basis has been extended to the Government employees covered under NPS vide OM. No. 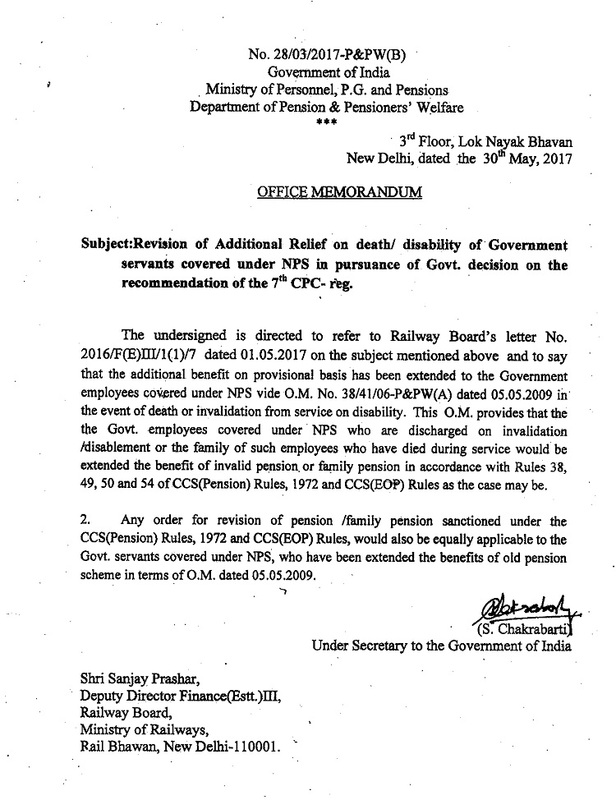 38/41/06-P&PW(A) dated 05.05.2009 in the event of death or invalidation from service on disability. This OM. provides that the the Govt. employees covered under NPS who are discharged on invalidation disablement or the family of such employees who have died during service would be extended the benefit of invalid pension, or family pension in accordance with Rules 38, 49, 50 and 54 of CCS(Pension) Rules, 1972 and CCS(EOP) Rules as the case may be.